We’d love your help. Let us know what’s wrong with this preview of Persephane Pendrake and the Cimaruta by Lady Ellen. "Absolutely Wonderful - I couldn't put it down!!! The Persephane Pendrake Chronicles...the new magical series to read after Harry Potter, has arrived wi "Absolutely Wonderful - I couldn't put it down!!! The Persephane Pendrake Chronicles...the new magical series to read after Harry Potter, has arrived with the first in the planned nine magic book series...The Persephane Pendrake Chronicles-One: The Cimaruta. The leading cast includes: Persy (as she prefers to be called), her cheeky dragonfly familiar? Benson, Thaddeus, a thirteen-year-old wizard and his sidekick? P-C, a full-sized, but far from brave, dragon. Together, they embark on a myriad of escapades to check and counter-check Melanthios. Also, on top of the spell-binding story, meet? The Truth Testers? in the Forest of Depravation, who pose brain teasers for our heroes to solve . Figure out the answers before they do! To ask other readers questions about Persephane Pendrake and the Cimaruta, please sign up. Ever since J.K. Rowling's Harry Potter books took the publishing world by storm in the late 1990’s, the literary market has been flooded with an endless parade of Harry Potter knock offs. A whole generation of authors have been inspired to create their own books featuring teenage wizards and witches all striving to save the world from the usual forces of evil. Though most of these books have been largely unsuccessful, there have been a few that have shined. Enter Persephane Pendrake and the Cimar Ever since J.K. Rowling's Harry Potter books took the publishing world by storm in the late 1990’s, the literary market has been flooded with an endless parade of Harry Potter knock offs. A whole generation of authors have been inspired to create their own books featuring teenage wizards and witches all striving to save the world from the usual forces of evil. Though most of these books have been largely unsuccessful, there have been a few that have shined. Enter Persephane Pendrake and the Cimaruta by Lady Ellen. Unlike Harry Potter who is a wizard, Persephane Pendrake and the Cimaruta features a teenage witch as its protagonist and thankfully steers clear of Harry Potterisms that would otherwise contaminate and dilute what is a quite original and engaging story. A chief element of this book is its peculiar use of time-travel, called Time-Linxing. Through Time-Linxing, Persephane is able to confront her enemies at various points throughout history making for a thrilling and utterly breathtaking tale. Upon discovering that she is the chosen one destined to stop the evil “All Powerful One” from plunging the world into eternal darkness, Persephane Pendrake is thrust into the center of the timeless conflict between good and evil. When Persephane turns thirteen, the age in which her incredible magical powers start to mature, her evil aunt Melanthios, who seeks to become the prophesied All Powerful One, decides to destroy her. Through the aid of her loving family and friends, including her loyal sidekick a witty, but overenthusiastically snark dragonfly named Benson, Persephane takes up the challenge of facing Melanthios in a series of life and death battles in which to thwart her wicked plans. But Melanthios has other ideas for Persephane. If she can steal the powerful amulet called the Cimaruta from Persephane, she will have the first of 9 powerful magical items which must be collected to bequeath her with the powers of the All Powerful One. It is a desperate race throughout the world and history itself as Melanthios and Persephane vie over the lost 9 magical objects. Will Melanthios claim the Cimaruta from Persephane and begin her transformation into the All Powerful One? Or will Persephane find the strength and wisdom she needs to prevent the approaching apocalypse? You’ll have to read this book to find out. As I said before, readers will be glad to know that Persephane Pendrake and the Cimaruta is not some cheap imitation of Harry Potter. Rather it occupies its own unique space in a genre that clearly needs originality. What truly distinguishes this book from Harry Potter is its milieu which seems to be steeped in Wicca and folklore as opposed to Rowling's more romanticized version of witchcraft and wizardry. Unlike Harry who is an orphan, Persephane is surrounded by a coterie of loving and supportive folk, all who are necessary to prepare her for the trials she is going to endure over the course of this series as she takes on the challenge of saving the world from her malevolent aunt Melanthios and her minions. PLOT: Persy is about to turn thirteen and come into her full-fledged powers as a witch. Immediately she's called on a mission to help Time-Lux to Rose Meadow and help out the fairies. The dark witch Melanthios has them trapped and blocked their entrance. Persy must find the key that sets them free. But her mission isn't over yet. Laura, her grandmother tells her of her bigger purpose of a First Class Witch. It is she that will go up against Melanthios and stop her from bringing evil and darkness to all the realms aided by Laura's protégée Thad. *Saw that coming. (That the evil witch was the aunt). *Hmm. Now being extremely visual I kinda have a problem with telling a person who's never experienced a magical portal for the first time to focus on a year you've not visited and a place you've never been. Shouldn't her mother (a more experienced witch) have gone with her the 1st time? Focusing on a candle and focusing on a place are entirely different things. I think she (the mother)should have at least opened a window and shown her where she was going looked like. *Getting that key just felt too easy. 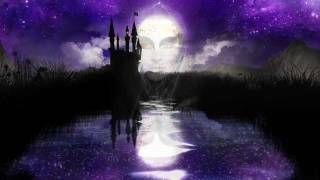 If Melanthios is the evilest dark witch then unless she's got a plan in mind why didn't she do something to stop them? Are we supposed to believe already Persy's such a strong capable witch at 13 that she is able to get away with stealing the key at her first attempt? Unless it's the Cimatura charm that gave her protection. I have a feeling it was her behind the door's closing, but when she's looking out the window she seems to be anxious for their paths to cross again. *I have always thought having a dragon would be fun. I guess I'm weird like that. When I played the Sims (the magic add-on) I raised one. Yeah, it was bad and burnt stuff up. But even now I have a stuffed one. But I'd never name it Prissy Cups. And no 3-year old I know would name it that either. *I especially loved (again as weird as this may sound) the chapter about how Willow takes Melanthios in and introduces her to the Black Book Of Dominance. Because while everyone probably (if there was such a thing) would want to be a white witch secretly I've had fantasizes and written about being the opposite having dark magic. I'm not for all the animal sacrifices that come along with that in the story, but I guess it's just the thought of being taken in and being guided toward your greatest potential. Even if it is dark. I thought it was a great background to show how she starts down that path. *I hated that the ring got crushed. It really could have come in handy. *I like how all the Magical Community's strengths tied in accurately with their heritage and how they all aided Persephone on her journey. *The end battle felt very quick. I know it was necessary to evoke Persy's anger to deal the final blow, but it just doesn't feel quite right to me to play with someone's emotions in that extreme a way. Death is a hard enough thing to deal with. What if after that she has nightmares about what took place? It is a good story. I personally have a problem with present tense narrative. I liked the characters and the plot otherwise. In my opinion, it's not necessarily a good idea to use Harry Potter to achieve your own success. Still, it does look like a good book, I'll read it someday! After more than thirty years as a Health Care Practitioner, Lady Ellen starts the series she's envisioned for decades. While I've written for many years for my site(s) and various health journals...this is my first foray into fiction. The Persephane Pendrake Chronicles-One-The Cimaruta is the first book of a planned nine book magic/fantasy series for children from 9 to about 15 (actually many adults have read it and loved it). 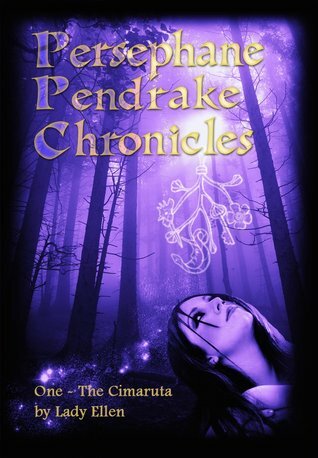 The series is called 'The Persephane Pendrake Chronicles'. Plus Barnes and Noble and Borders. Come join us at Persy's Facebook Page for a chance to win cash prizes and a signed copy ofThe Persephane Pendrake Chronicles-One-The Cimaruta!